The songs on the In a Beautiful Place Out in the Country EP were taken from the Geogaddi sessions, which yielded the dark, schizophrenic final product of said album. However, the songs on the Beautiful Place EP are slightly more listenable than the songs on Geogaddi, although they do have their fair share of unsettling details. The title track features a sample from a religious recruitment recording, and the second track’s name is a play off of Branch Davidian leader Amos Poe Rodan (thanks for that info, Shawn). But these subtle hints of perversity do not hinder the aural beauty of this EP. All four songs are crafted simply wonderfully. As the first track, Kid For Today, suggests, listening to the disk is like taking a time machine in two different directions. All of the songs sound innocent in their underlying melodies, yet still have a curious undercurrent of mysteriousness. Also present is a balance between nature and technology. Each song seems to reminisce of some natural landscape degraded in the signature Boards of Canada style, as if viewed on an elderly nature documentary. And yet every song is electronically touched, giving some kind of suggestion of an old, outdated video game. All four songs here stretch the imagination with candy sweet synth melodies and bass heavy beats. Kid For Today and In A Beautiful Place Out In The Country are the more chilled out, free form pieces on the album, while Amo Bishop Roden is soaring and moody although just as relaxing. Also, one of Boards’ more unique songs, Zoetrope, is here to end the EP on a very light note. A contemplative, shimmering gem of a piece, Zoetrope feels otherworldly, magical, and nostalgic while only utilizing a single synthesizer. 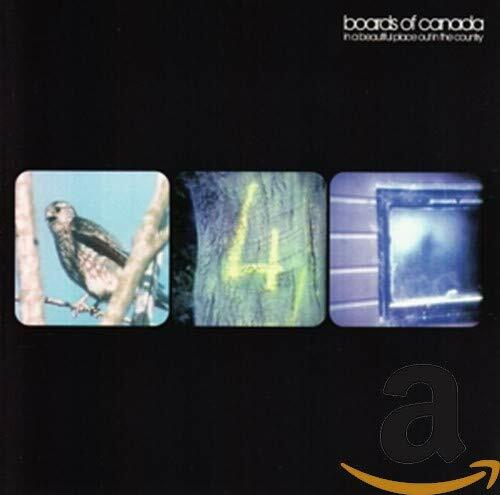 In the end, the winning force is what Boards of Canada have always been about…chilled out beauty.